FL7M Series Spatter Guarded Cylindrical Sensors for Welding. 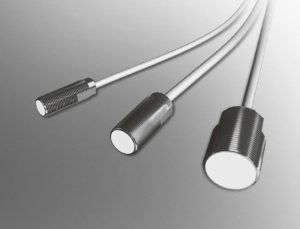 These versions of the venerable FL7M series DC-2 wire proximity sensors combine a variety of ant-spatter measures that make them ideal for welding processes particularly on the automotive production line. They have a Teflon® coating on not just the head surface but also on the body housing and a flame-resistance cable.